All School Board meetings will take place in the Rockton Grade School Music Room unless stated otherwise. Minutes available shortly after the following months board meeting. Katie Littlefield, was elected to the school board in 2015. Seeking to provide their four children with the highest quality education, Katie and Tom, made the decision to move their family to Rockton and have been committed members of the community since 2010. Utilizing her skills of strategic planning, organization and team building Katie has achieved success as a small business owner for over 10 years. Volunteering in the community is a core value of Katie’s; over the years she has become an effective leader and communicator for non-profit organizations she has partnered with. She is most passionate about working in collaboration with fellow parents, colleagues and educators to maximize district finances to support the high goals for student achievement that mark the Rockton School District. Mary Newman is the newest board member. More information will be posted soon. Brett and his wife, Michelle, reside in Rockton and are proud of their two sons that attend schools in the Rockton School District. A lifelong resident of the Rockton/Roscoe area and graduate of Hononegah HS, Brett is honored to have been elected by the community. He looks forward to working with the families, staff, teachers, Mr. Terry, and the Board of Education to foster a strong, educational foundation for each and every student. Actively involved with his wife in their sons’ education and activities, he feels family and loved ones are also a key part of each child’s emotional and educational success. Brett looks forward to fostering an atmosphere of increased communication within the community, reinforcing positive character development, and creating more family engagement and volunteering within the district’s schools. He brings a diverse skill set to the Board including sales, management, human resources, and small business operations. Chad Papke, and his wife Somer, moved to Roscoe in 2010. They currently have the older of their two children attending school in the Rockton School District. Chad is employed at Rockford Country Club as the Golf Course Superintendent for the past 16 years. He has a Bachelor of Science in Industrial Engineering and a two-year certification from Michigan State University in Golf Course Turfgrass Management. Chad is committed to serving the Rockton School District by helping to provide a safe learning environment for all of the students in the community. 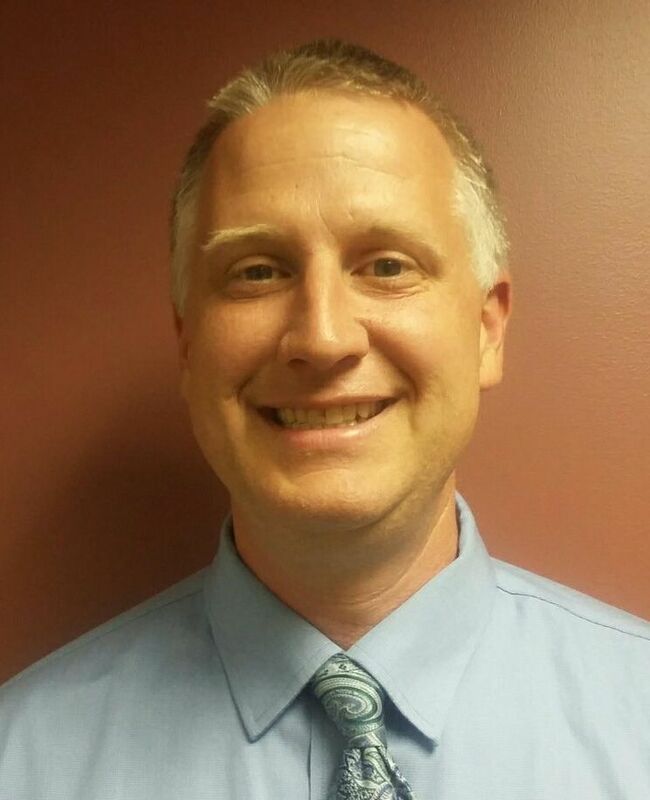 In serving on the Rockton School Board, Chad will strive to achieve the goals of the district in obtaining the highest level of learning in a fiscally responsible manner. Gail's affiliation with our school district began many years ago as she was a former student at Rockton Grade School. Returning to teach in the district in 1978, she spent the majority of her 33 years teaching Kindergarten. In addition to bringing her educational experience to the board, Gail comes with a unique insight to board issues, having served as the Rockton Teachers’ Association president/vice-president for 27 years. Gail is looking forward to continuing to support the students and staff of our school district in this new capacity as a member of the Board of Education. Shawn and his wife Jamie moved to Rockton in 2014 and have three children currently attending school in the Rockton School District. Shawn is currently employed for the City of Rockford Fire Department as a Firefighter/Paramedic. Shawn has served as a Village President and currently sits on the Fire Advisory Commission for the State of Illinois. Shawn believes that quality education creates a lifetime of opportunities for students. His goal as a board member is to foster a culture of curiosity and love of learning for all students through courageous, collaborative, visionary leadership focused on accountability at all levels, continuous improvement, student achievement, and financial discipline. This will yield effective use of taxpayer funds, return on our education dollars and students who are well prepared for success. The Board of Education negotiated agreement with the Rockton Teachers' Association is available below. In accordance with Sections 10-20.47 and 34-18.38 of the School Code (105 ILCS 5/10-20.47 and 5/34-18.38) the itemized Administrator / Teacher Salary and Benefit report is available on the district website. 2017-18 Administrator and Teacher salary compliance report. 2016-17 Administrator and Teacher salary compliance report. 2016-17 Non-certified staff salary compliance report. 2015-16 Administrator and Teacher salary compliance report. 2015-16 Non-certified staff salary compliance report. The Board of Education is the elected governing body for our school district. They annually set goals to more effectively and efficiently run our schools. They meet regularly to take care of the general business operations of the district and deal with numerous other educational issues. General and specific school district policies are developed by the board to insure a smooth, consistent operation of our schools. The Board of Education welcomes community input and opens all regular meetings for public comments.